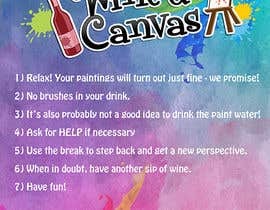 I own a paint and sip studio - its a place that ADULTS (usually female) go to paint art and drink wine. 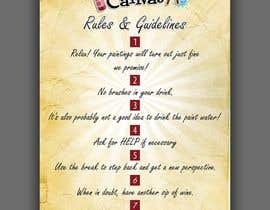 I would like you to design an awesome modern poster that will be hung on the rule, that has a set of rules on it. 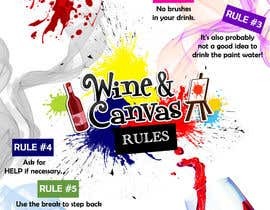 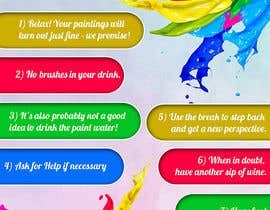 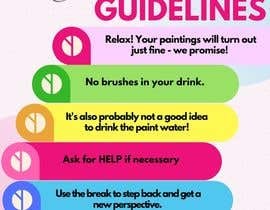 These rules are of course 'fun' so the poster should be bright and colorful and really eye catching.. 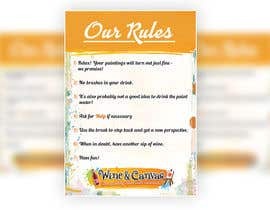 They are not serious rules- just fun guidelines for people. 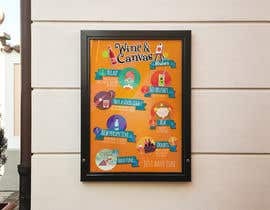 However it should still look professional and modern. 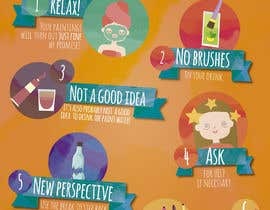 1) Relax! 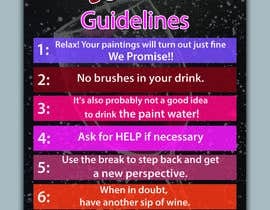 Your paintings will turn out just fine - we promise! 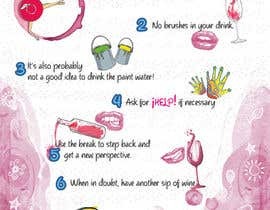 2) No brushes in your drink. 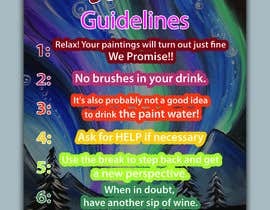 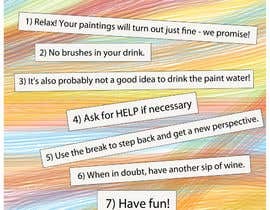 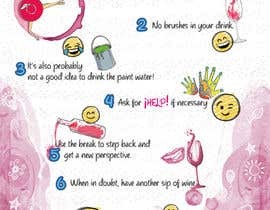 3) It's also probably not a good idea to drink the paint water! 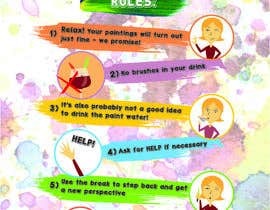 5) Use the break to step back and get a new perspective. 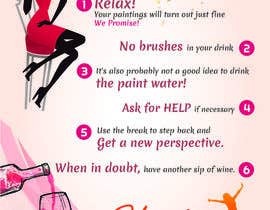 6) When in doubt, have another sip of wine. 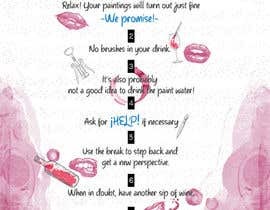 Hi, am working, please wait !